If Bloody Marys and crepes float your boat, sail on over to this farm-to-table restaurant aptly named FARM for brunch. From the Saumon Crepe to the Bacon and Gruyère French Toast, this tasty French- and Spanish-inspired spot has a deliciously eclectic menu that you can enjoy in the pleasant Palm Springs weather. 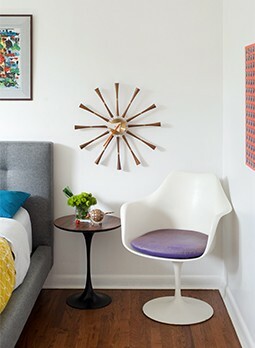 Need a little pick-me-up in the Uptown Design District? 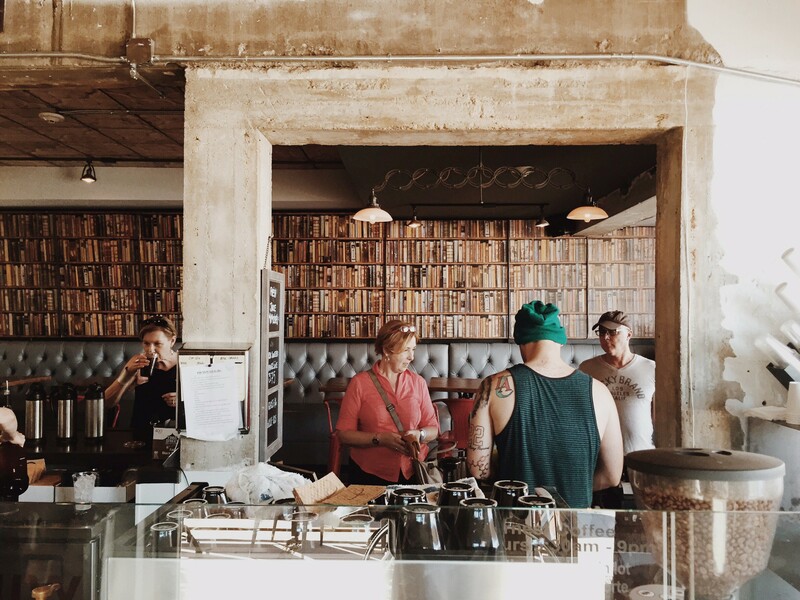 Head over to local independent coffee shop Ernest Coffee and get your bean on. From freshly brewed Stumptown Coffee to warm homemade sweet and savory snacks, this joint has got your cravings covered. And if you’re looking for a great happy hour, come on by for their great bottled beer and wine selection from 4-6pm every day. Follow on Instagram @ErnestCoffee. Attention all foodies: If you’re in the mood for tasty, new-wave Italian food, look no further than the outdoor paradiso at Birba. 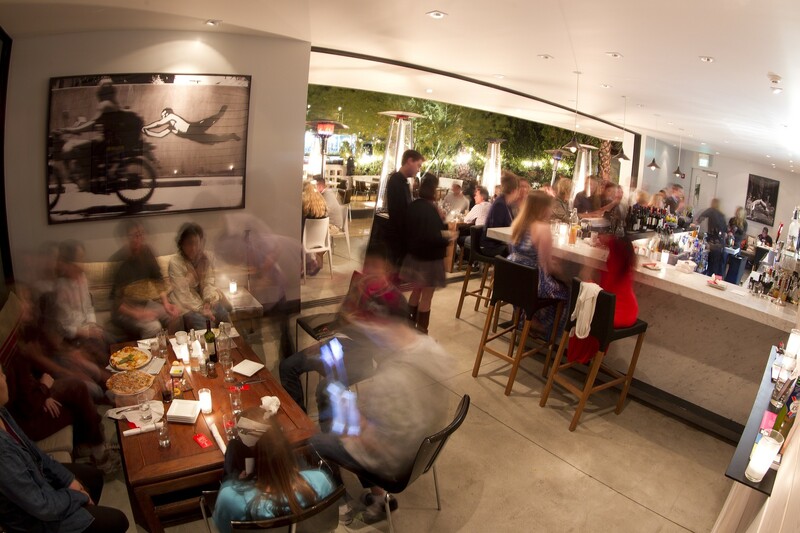 Owned and neighbored by another Atomic Ranch favorite Cheeky’s, this dinner destination has not only tasty dishes but one of our favorite patios in the Uptdown Design District. Go for the Beet Ravioli with Gorgonzola Cream and stay for the tasty and tart Italian Greyhound cocktail. Follow on Instagram @BirbaPS. 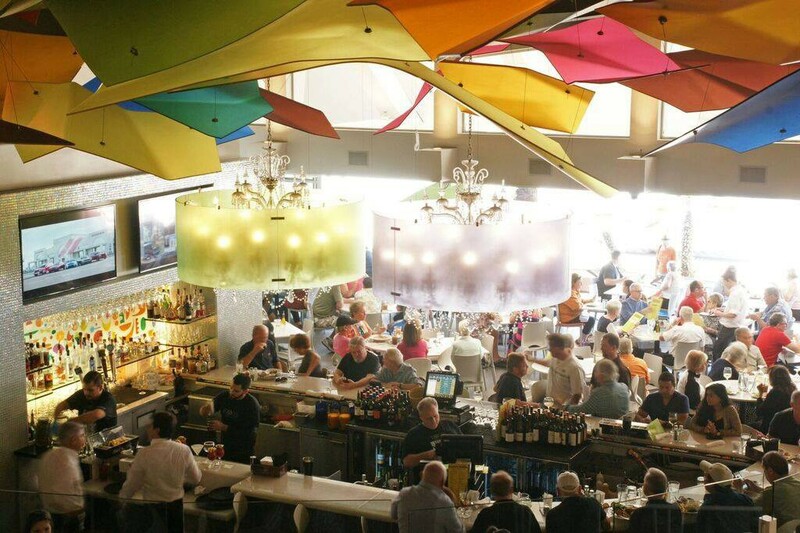 As its website says, “There’s always a party at Lulu’s.” And this Palm Springs staple isn’t lying! Whether you’re just looking for a swanky place to dine or something worthy of your haute couture lifestyle, Lulu’s is the place. Swing by for their Sunday brunches from 11am-3pm, pop in for their daily happy hour from 7pm-closing or stay up for their late-night Fridays and Saturdays (complete with DJ and specials) from 11pm-1am. And if you’re staying past Modernism Week, you might want to join them for their 4-course dinner and Oscars viewing party. Follow on Instagram @LuluPalmSprings. 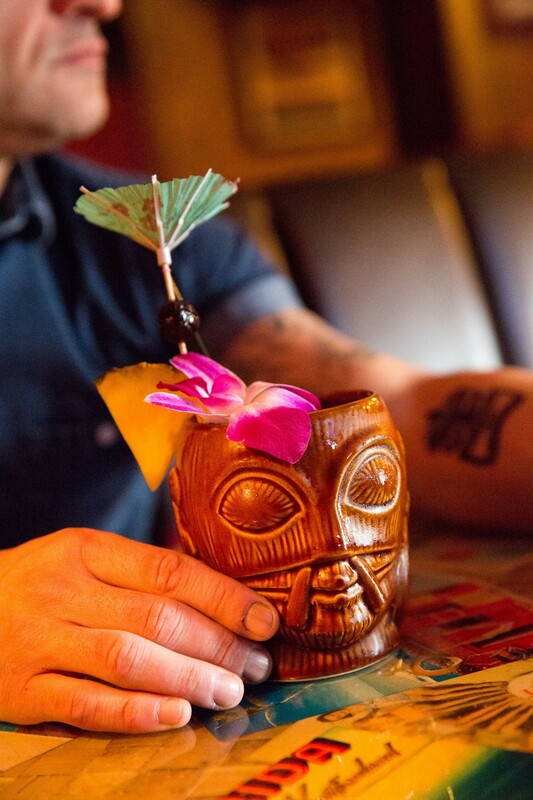 No modernist can resist a good tiki bar, and Bootlegger Tiki happens to be a great one! Located on the original site of historical Palm Springs restaurant Don the Beachcomber, at Bootlegger Tiki, you’re getting the true tiki bar experience. Order some bites from their new snack menu, a tasty tropical drink or even a classic Don the Beachcomber cocktail. Check in for two happy hours every day from 4-6pm and 12-2am! (For the true tiki enthusiast, check out their special Modernism Week Bootlegger Tiki School and make your own cocktails with mixologist Chad Austin!) Follow on Instagram @BootleggerTiki. Open MON-THURS 6pm-12am, FRI-SAT 6pm-2am; Closed SUN. 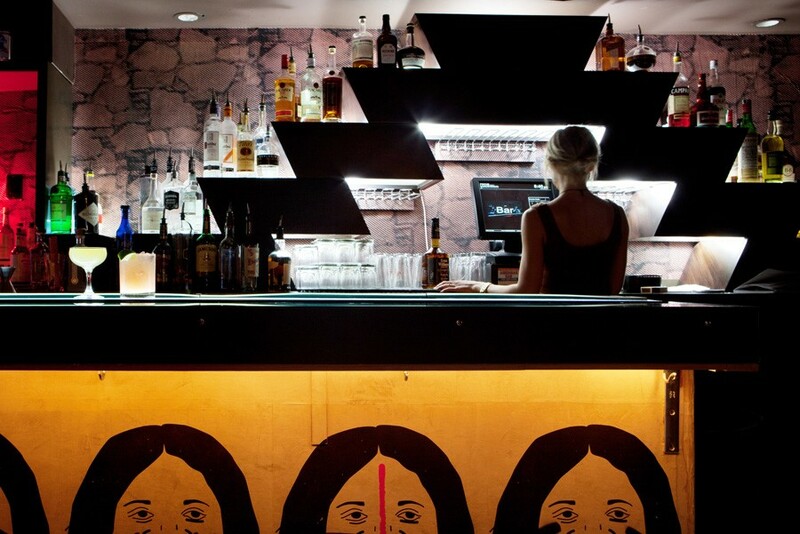 Sometimes, you need to go to a place that is straightforward, and Bar is as upfront as it gets in Palm Springs. With more than 100 different whiskeys, local brews on top, handcrafted cocktails and Chicago-style pizzas served up, this is the place to be in the desert night. Enjoy the cool, cozy bar and dance floor every night and the huge open-air patio full of art, bocce ball and music in the back Thursday through Saturday. And for those of you visiting during Modernism Week, enjoy an extra 10% off food all week! Follow on Instagram @BarWasTaken.